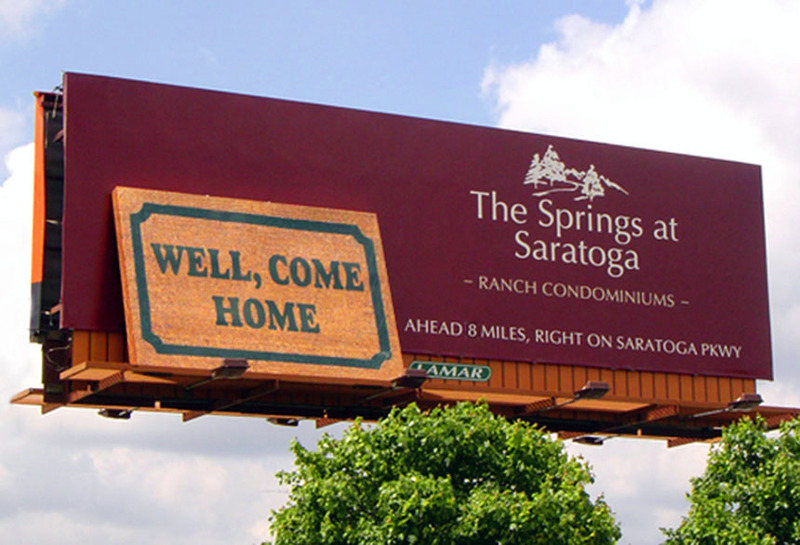 The Springs at Saratoga used a Lamar bulletin billboard to advertise their ranch condominiums. This creative included an enormous 3D welcome mat secured to the left side of the board. The 3D extension drew eyes to the billboard and the message.